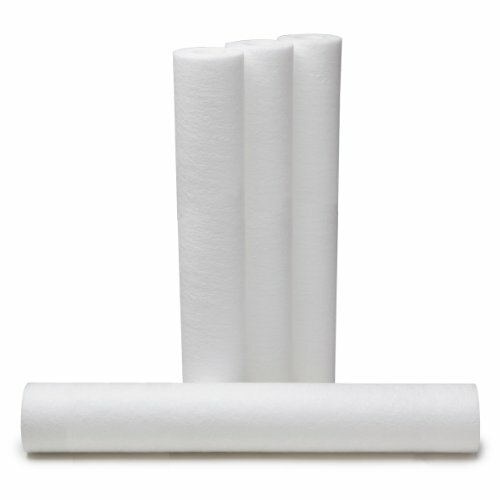 Replacement 20-inch sediment pre-filters for Aquasana Whole House Water Filter Systems - 4 pack. Only use genuine Aquasana replacements for increased performance capacity and certified contaminant removal. The sediment pre-filter is designed to prevent dirt and particles from entering the system and clogging the main filter unit. Designed for easy filter replacement, no plumber required. Filter should be replaced every 1-3 months depending on TDS levels (total dissolved solids) and water quality - replace when you notice that the color of the filter darkens or water flow slows down.